St Paul’s Cathedral has unveiled a new First World War memorial by Gerry Judah. The installation consists of two large cruciform sculptures, embellished with miniature reliefs of contemporary and historical architectural ruins. The artist’s intention was to ‘engage with conflict, destruction and the environment’, both during and beyond 1914. ‘We remember this Great War 100 years later’, he said, ‘but since then, conflict has been ongoing throughout the world…I thought this would be a better testament to those who lost their lives’. The overall effect is plaintive and abrupt. These jagged and conspicuous structures, ironically rendered in a brilliant white, effectively call to mind the violence of war. Judah’s work is also suitably iconoclastic, both recalling the mass graves of Flanders and subverting the symmetry of Christopher Wren’s majestic Nave walls. 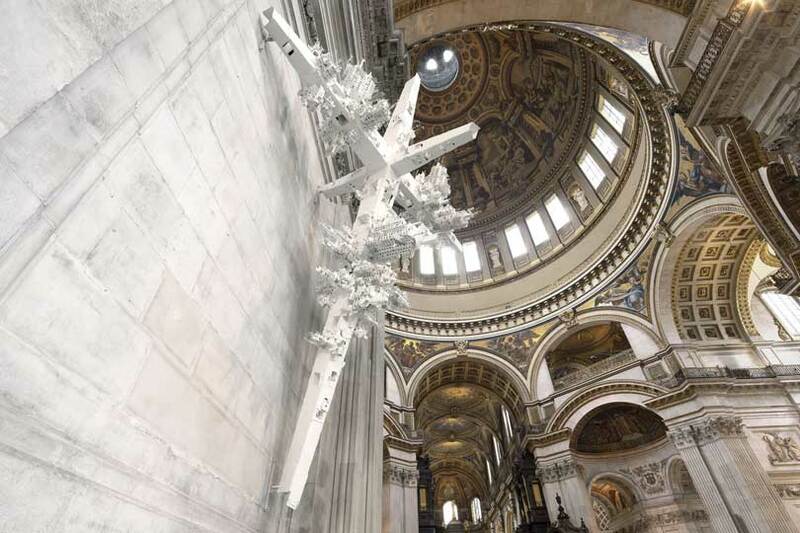 The artist and Mark Oakley, Chancellor of St Paul’s Cathedral, wanted this ‘poignant disruption in a beautiful space’ to bridge the collective suffering of those affected by war throughout the last century. 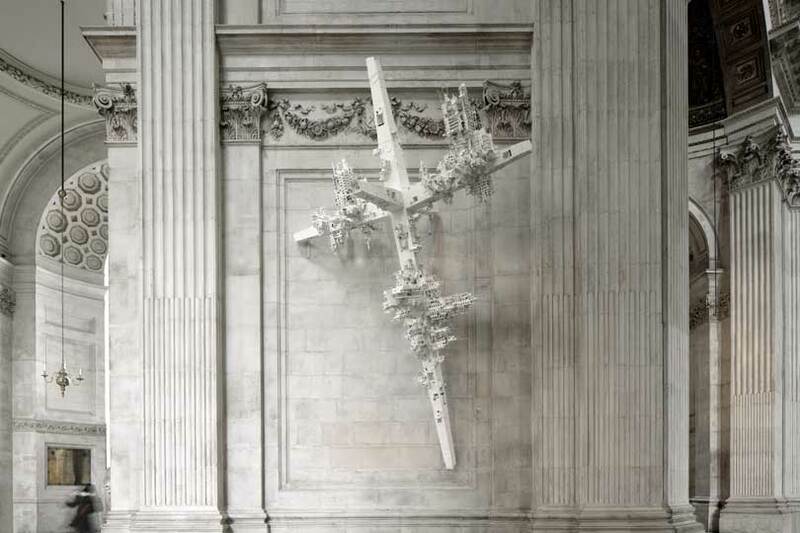 Gerry Judah’s First World War memorial can be viewed at St Paul’s Cathedral from 13 April–30 November 2014.